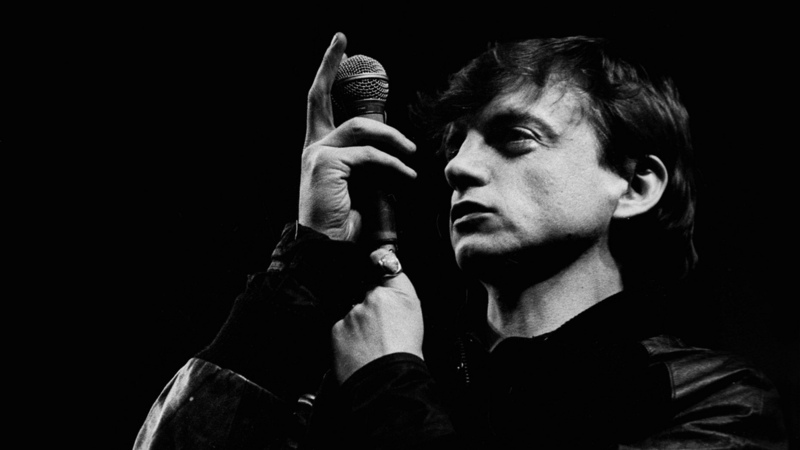 Mark E. Smith Was An Uncompromising And Essential Voice From Music's Fringe : The Record The prolific and irascible leader of the British post-punk band The Fall built his legend — and his influence — by being impossible to imitate. The sole member of The Fall who remained through its four decades, Mark E. Smith was synonymous with the band. It is safe to say that there was no one else like Mark E. Smith. The irascible leader of the legendary Manchester post-punk group The Fall — who died yesterday at the age of 60 — was a true artist and eccentric. An acerbic British icon with working-class roots, his words were like cryptic incantations, layered with bone-dry wit and an interest in horror, fantasy and the surreal. Smith was a stubborn contrarian who broke new ground both sonically and lyrically with the band he founded, and then owned that territory for over 40 years and dozens of albums. Smith's unique skill as a lyricist was evident from the band's earliest days, his stream-of-consciousness style laced with sideways references, quirky humor, sharply honed imagery and trenchant observations on British society, culture and politics. 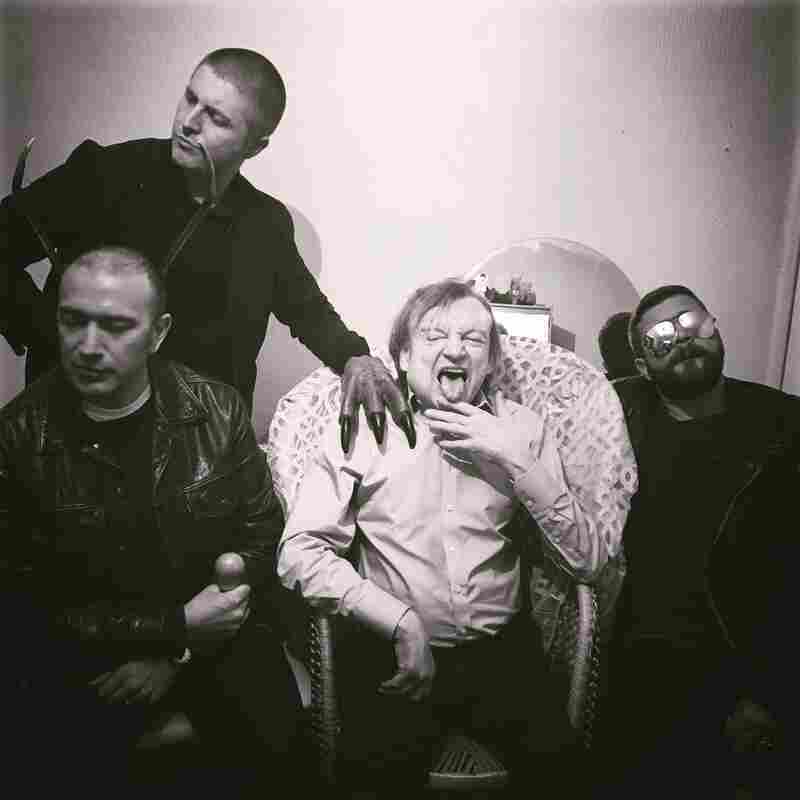 "It was like a poetry group at first," recalled Martin Bramah, The Fall's first guitarist, to the critic Simon Reynolds in the anthology Totally Wired. "We used to share our innermost feelings in words and play our favorite albums. Mark bought a guitar but couldn't play it. I was already singing in another band, so the first lineup of The Fall was me singing and Mark playing guitar. It quickly switched because Mark was writing these mad, well-observed lyrics. Our early stuff sounded American, but Mark picked up on how to make Manchester interesting." Manchester occupies a legendary place in music lore; a huge number of bands were spawned within the city's grim industrial confines during that era. The scene surrounding Joy Division and Factory Records captured the public's imagination, but it was The Fall who held the crown as the strangest and most singular band to have ever come out of Manchester. The group's debut album, 1979's Live at the Witch Trials, proved it to already be well on its way to developing a signature sound: a churning, propulsive rhythm section, an emphasis on extreme, almost trancelike repetition and pointed, cryptic lyrics that Smith scowled with a voice that sometimes sounded like he was gargling razorblades. With each successive album, The Fall honed its technique, with Smith reveling in all ideas that ran counter to social norms. "The Fall's work — particularly in their period between 1980-1982 — is steeped in references to the grotesque and the weird," wrote the late critic Mark Fisher in his book The Weird and the Eerie. "The group's methodology at this time is vividly captured in the cover image for the 1980 single, 'City Hobgoblins,' in which we see an urban scene invaded by 'emigres from old green glades': a leering, malevolent cobold looms over a dilapidated tenement .... A group like The Fall — working class and experimental, popular and modernist — could not and should not exist, and The Fall are remarkable for the way in which they draw out a cultural politics of the weird and the grotesque." The Fall proudly showed off that flair for the bizarre and monstrous, titling its 1980 album Grotesque (After the Gramme.) By this time, the original founding members of The Fall — Bramah on guitar, Tony Friel on bass, Karl Burns on drums, Una Baines on keyboards and Smith on vocals — had dissolved, leaving Smith as the sole original member. It was a theme that would continue apace throughout Smith's long career in The Fall — the members of the group shifted constantly and erratically from album to album, or even from month to month, with Smith as the only constant presence. Nearly 70 people have been members of The Fall over the course of the past four decades — an eye-popping number. "If it's me and your granny on bongos, it's The Fall," Smith once famously quipped — less a joke than a statement of fact. Smith's group garnered many prominent fans — the legendary British DJ John Peel was a constant champion — but The Fall never quite hit the mainstream in the United States. In the 1980s, Smith's marriage and creative partnership with Brix Smith (now Brix Smith Start) helped lead to some of the catchiest, most upbeat music of their career — most notably on 1985's This Nation's Saving Grace — but the band remained oblique and abstruse, even in its poppiest days. "He never once compromised," Brix Smith Start wrote of Smith in a statement released after his death, "how many others can leave this life with such a singularity of vision?" Mark E. Smith led The Fall through over 30 studio albums, along with a flood of EPs, singles, and collaborations, amounting to dizzying discography that could bewilder even the most die-hard record collector. Some of these records were absurdly brilliant — like Hex Enduction Hour (1982) and The Wonderful and Frightening World Of... (1984); others were a mixed bag, and a few were absolute failures. The same could be said for The Fall's live performances, which could be as transcendent as they were unhinged. It didn't help that Smith picked fights with band mates and girlfriends, or that his behavior could be prickly, to say the least. Smith kept creating, and kept touring, up until almost the end. As the guiding force of The Fall — and the only member of The Fall who never quit the band — Smith and The Fall became synonymous with each other. And while many bands were inspired by The Fall — Pavement, Sonic Youth and the Pixies among them — no one sounded exactly like the group. Without Smith, there can be no Fall, and the wonderful and frightening world of music he ferociously hurled forth is now a bit less wonderful and frightening as a result. "When I'm dead and gone / my vibrations will live on / In vibes on vinyl through the years," he howled on the song "Psykick Dancehall," released in 1979. The Fall's music will, indeed, live on.